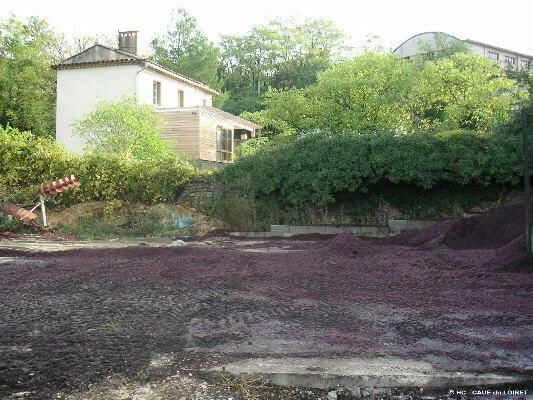 Address : RN 100 84400 APT VAUCLUSE (FRANCE). Photography : © Frédéric NICOLAS ; CAUE du Loiret. 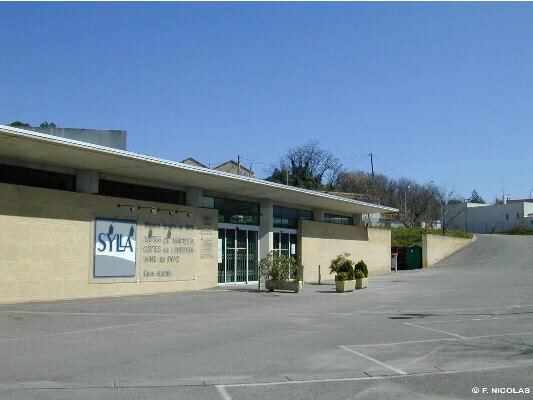 Wine producers since 1925, Sylla are situated at the entrance to the village of Apt. 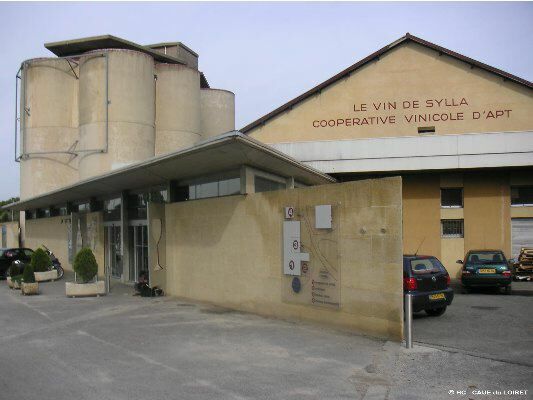 This cooperative produces and sells wines under the Côtes du Lubéron and Côtes du Ventoux labels. In 1994, an architectural competition was launched in order to establish a master plan for the restructuring of the entire site. 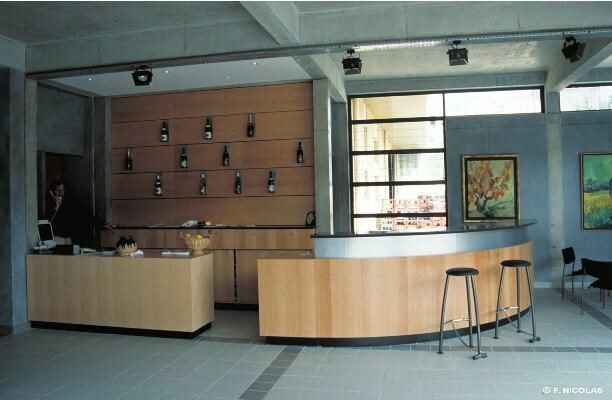 The brief, spread over a twenty year period, includes the amelioration and the modernisation of the working elements as well as the opening of the site to the public thanks to a tasting area in the cellars. The retained project improves the label’s image by concentrating on the insertion of the facilities from the entrance point to Apt. In this way, the entire facade onto the R100 is reworked by the construction of an edifice which regroups the public sales space, the storage space and a cultural space open towards the town. The limit between the industrial site and the urban roadway is materialised by a long stone wall which serves as a support to the project, articulating the different built and non-built spaces, and which also serves to organise the parking spaces implanted along its length. This horizontal element associates the project with the roadway and marks the retained alignments and, in this way, establishes a sense of coherence between the project and the recent commercial premises built on the opposite side of the road. Above and beyond the principal facade, it is the whole of the working site which, with the passage of time, is reclaimed and modernised in collaboration with the architect. In this way the renovation of the roof of the primary shed has been undertaken in the spirit of the original construction by restoring the underside using timber panelling. 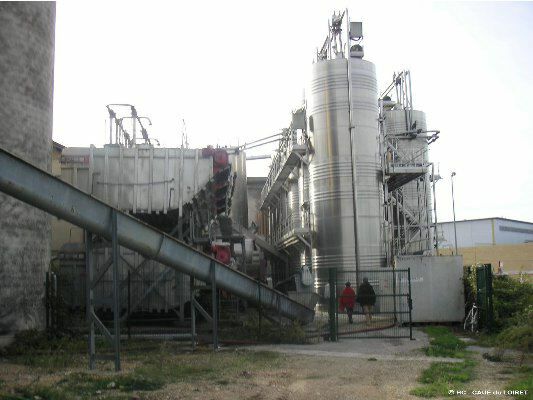 On the exterior, the insertion of a waste treatment plant has included a building in timber which houses and organises the numerous technical elements necessary for this kind of process. 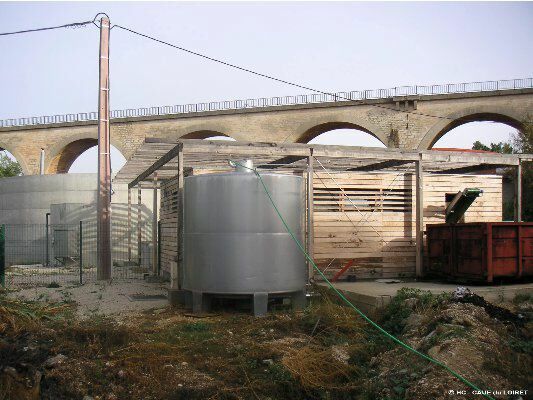 It is also the precise insertion and treatment of the eight new monumental steel silos and the office extension which have been specifically treated by the architect. Managed over a number of years, under the watchful eye of a professional, the site has, little by little, taken on an interesting spatial dimension and affirms itself as a marking element at the entrance to the village of Apt. There remains to be completed the renovation of the east facade of the original building (liberated of all of the negative elements added over the years) and the treatment of the external spaces.